On Maundy Thursday the Service of the Holy Passion is held; the preparations for the celebration of the Resurrection also start on that day. Housewives traditionally prepare the Easter brioche (“tsoureki”) and dye eggs with special red dyes, a custom that symbolises the rebirth of life and nature. On Good Friday, the sacred day of the culmination of the Passion of Christ with the Deposition from the cross and Christ’s burial, people decorate the Epitaph, as the tradition wants the Crown of Thorns of Jesus Christ to be covered with flowers. On this day of bereavement, the devout Christians are supposed not to eat anything. The Epitaph Mass takes place in the evening and then follows the circumambulation; people join the procession on its way through the streets of every single village and city listening to chanters reciting the funeral psalms in a mystic atmosphere of devout concentration. On Easter Saturday morning, preparations start for the festive dinner of the Resurrection night and housewives cook “maghiritsa” (a tripe and herbs soup). Before midnight, people gather in church holding white candles, which they light with the “Holy Light”. The Resurrection of Christ is celebrated at 12.00 sharp with drum beats and fireworks. When “Christós Anésti” (Christ has risen) is proclaimed against a background of loudly pealing bells, an impressive display of fireworks light up the night sky. People say the phrase “Christós Anésti” to one another. The response is “Alithós Anésti” (He has truly risen). Then they all gather around the festively laid table, they crack red eggs and feast on the traditional “maghiritsa”. On Easter Sunday morning, as the 40-day period of fasting finally comes to an end, in many parts of the country lamb is prepared on the spit. In other regions, the meat for the Easter table - lamb or kid - is roasted in the oven. The atmosphere is festive- full of joy and excitement! The Easter tables are set and people merrily rejoice, eat and drink with their family until late at night. 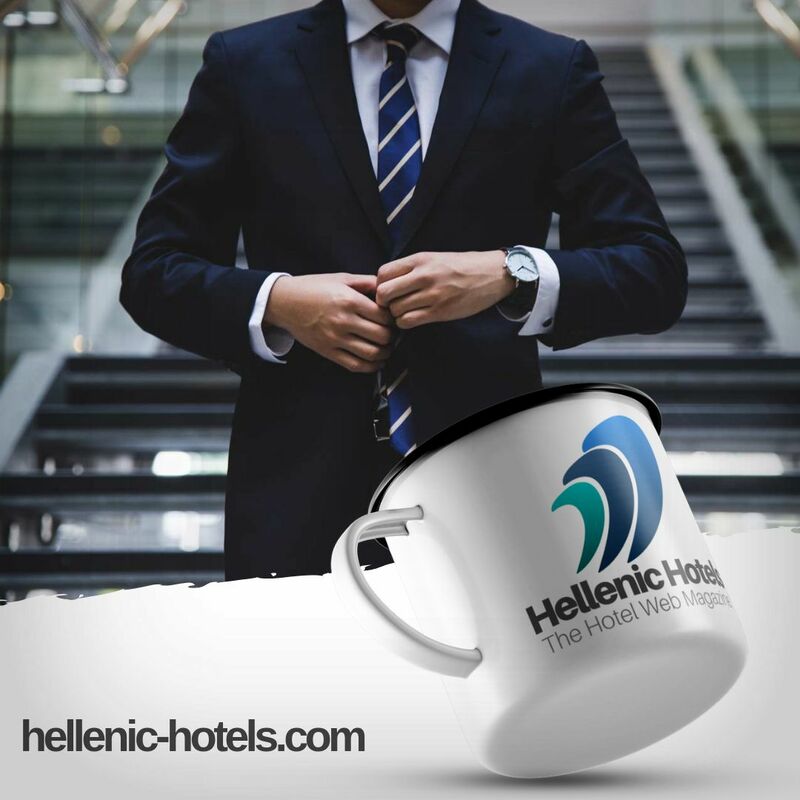 Easter celebrations are exciting all over Greece; some of the most famous destinations to celebrate Easter are considered to be Corfu, Skiathos, Patmos, Chios, Leonidio and Monemvasia. There you can have the one-of-a-kind opportunity to delve into an overwhelming spiritual atmosphere and participate into sacred rituals, ancient-old traditions and joyful celebrations! 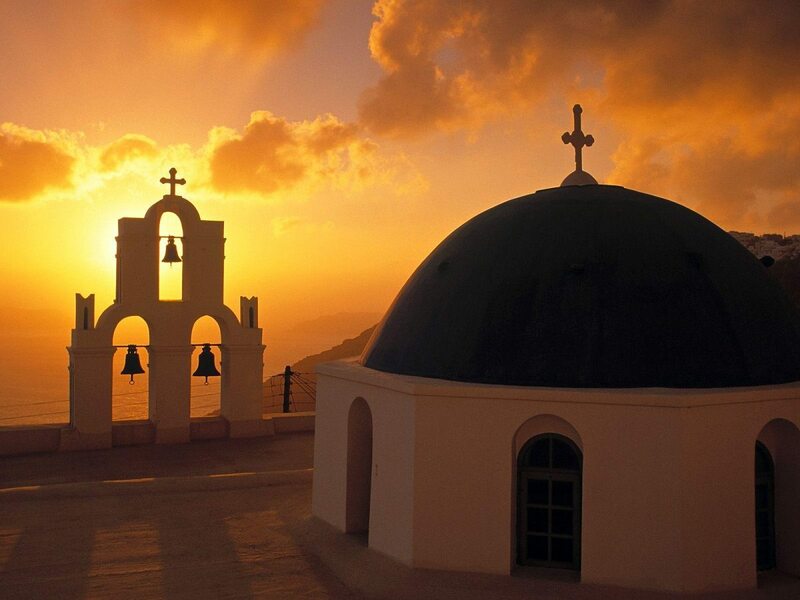 Spending Easter on Skiathos, the island of “the saint of the Greek literature” Alexandre Papadiamantis, is definitely a spiritual experience, as the locals observe the monastery ritual of Mount Athos, and live the Passion Week in devoutness and deep contemplation. The sound of the funeral bells ringing, and the scents of the nature in blossom blend harmoniously in sweet melancholy. On Good Wednesday at 8.30 p.m. Corfiots fill up the Municipal Theatre to hear the Municipal Chorus singing ecclesiastical hymns of the Passion Week. On Maundy Thursday in the Duomo, the Catholic Cathedral, 12 candles are lit and put out one at a time after the reading of each of the 12 Gospels. On Easter Saturday at 11.00 a.m., the first Resurrection is announced. Be prepared to experience a truly unique celebration: “Christós Anésti” is proclaimed against a background of loudly pealing bells and the joyful sounds of the bands as they parade through the streets. People hurl clay pots from windows and balconies which crash noisily on the streets below. At night, attend the Catholic Mass of the Resurrection in Duomo, or the Orthodox Resurrection Service at “Páno Platía” (Upper Square). Visitors will find themselves surrounded by thousands of lit candles: on balconies, on window sills or held by others attending the ceremony. The Resurrection of Christ is celebrated at 12.00 sharp with drum beats and fireworks. During the Passion Week on Patmos, the Island where the Apocalypse had been written, visitors are immersed in a deeply spiritual atmosphere. The presence of the Monastery of St. John brings about an uninterrupted observance and practice of the preserved Early Christian traditions like “The Washing of the Disciples’ Feet”, the Reenactment of the Deposition from the Cross in the Monastery of St. John. Let us not forget the celebration of the Resurrection on Easter Sunday and the highlight of Easter ceremonies, the “Liturgy of Love”, held on Easter Sunday at 3 in the afternoon at the Monastery of St. John. Apart from being the Island of Aromas in the Northeastern Aegean, Chios is well known for the magnificent Easter festivities too. 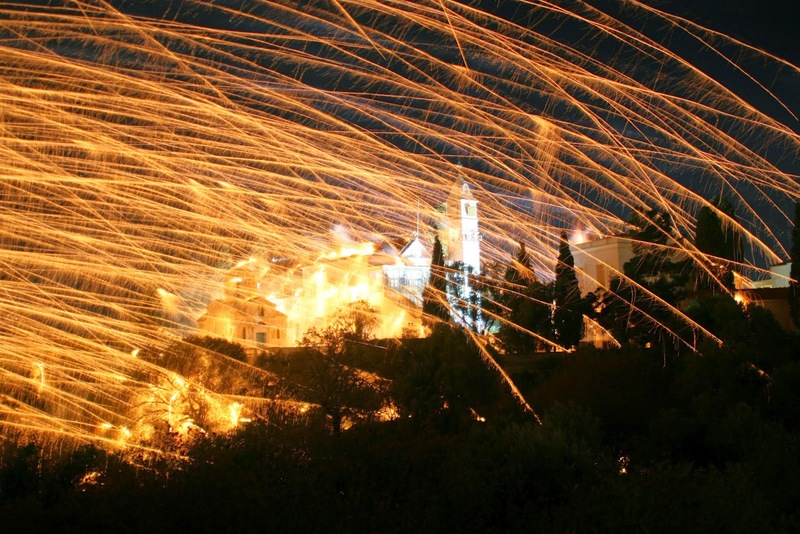 On the night of the Holy Saturday the villagers of Vrontádos are ready to set the night on fire! A rocket war breaks out here, which dates back to the age of the Turkish occupation (15th-19th centuries) and turns this village into a virtual battlefield. During Easter time in Leonidio devoutness and excitement go hand in hand, thanks to the spectacular custom of the balloons that is more than one century old. Although its origin is unknown, it is believed that the custom is a revival of a similar one that the seamen of the area had seen practiced in some Asian country. Following the Good Friday procession of the Epitaph around the cobbled lanes of the medieval fortress town of Monemvasia is an unforgettable experience; the faithful join in the procession taking place in the church of Elkomenos Christ holding white candles; Easter hymns echoing around the place create a mystical atmosphere steeped in devoutness and contemplation.